I’m a sucker for crunchy things. Chips, fries, fried chicken, anything labelled “crunchy”, “crispy” or “crusted”, crunch is definitely my weakness. 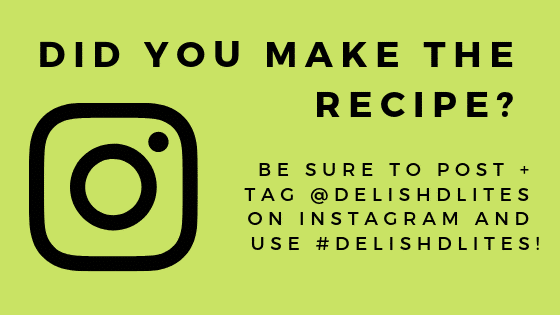 In my never-ending attempt to have my cake and eat it too, I’m constantly looking for ways to get my crunch on without too much guilt. 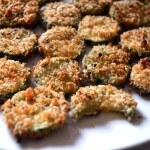 I’ve always loved fried zucchini, so I decided this would be a great place to start. 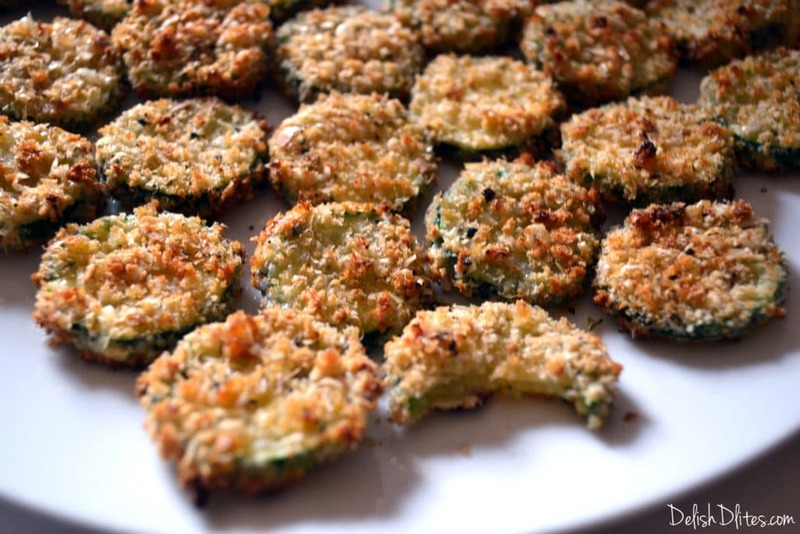 With Spring here, there’s a ton of tender zucchini floating around everywhere, so why not transform traditional fried zucchini into a snack you can actually feel good about? 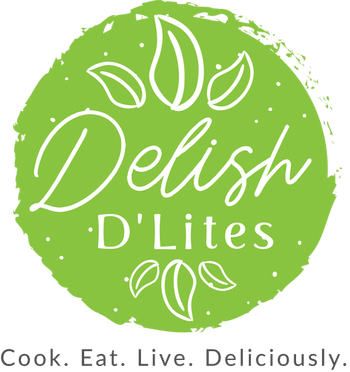 Believe me, I’m a skeptic when it comes to “lightened-up” food that’s supposed to be as satisfying as the original. That’s usually never the case. 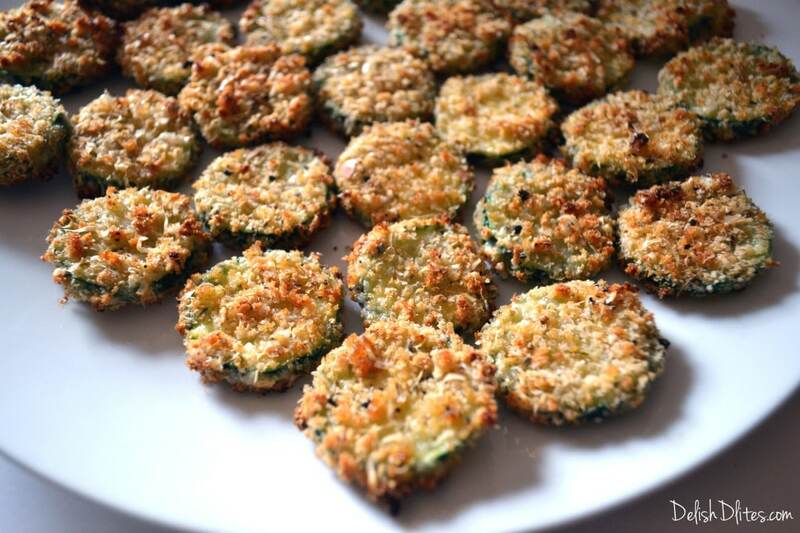 But these baked zucchini parmesan crisps definitely give me the fried zucchini taste, without the extra love handles! It’s a win-win! 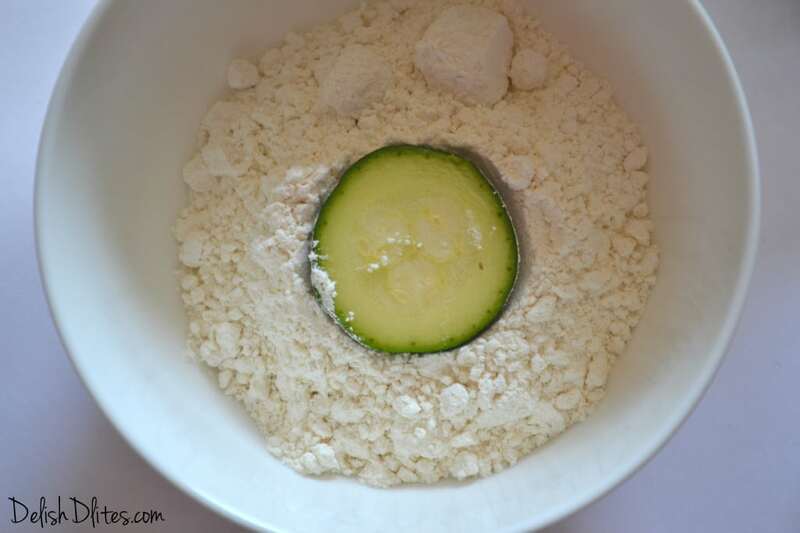 Set up 3 bowls, one with the flour, one with the eggs, and 1 with the breadcrumbs. 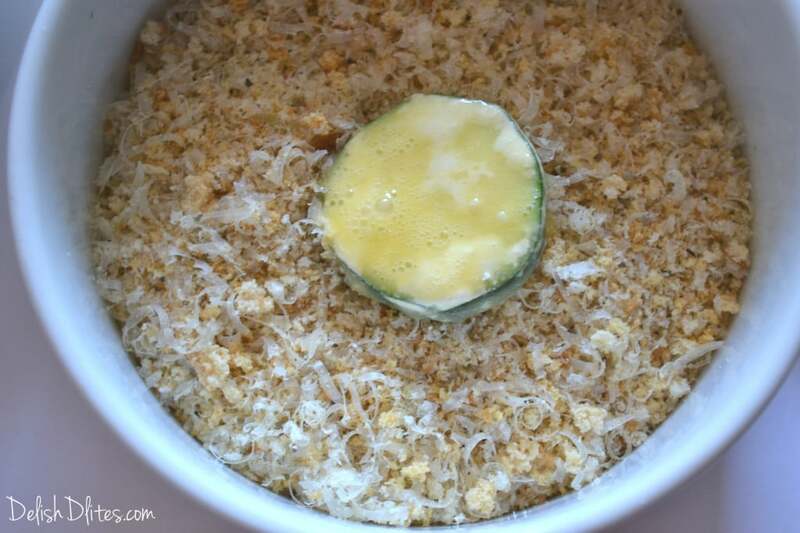 To make the crunchy coating, combine the breadcrumbs, Parmesan, Italian seasoning, salt, pepper and garlic powder. 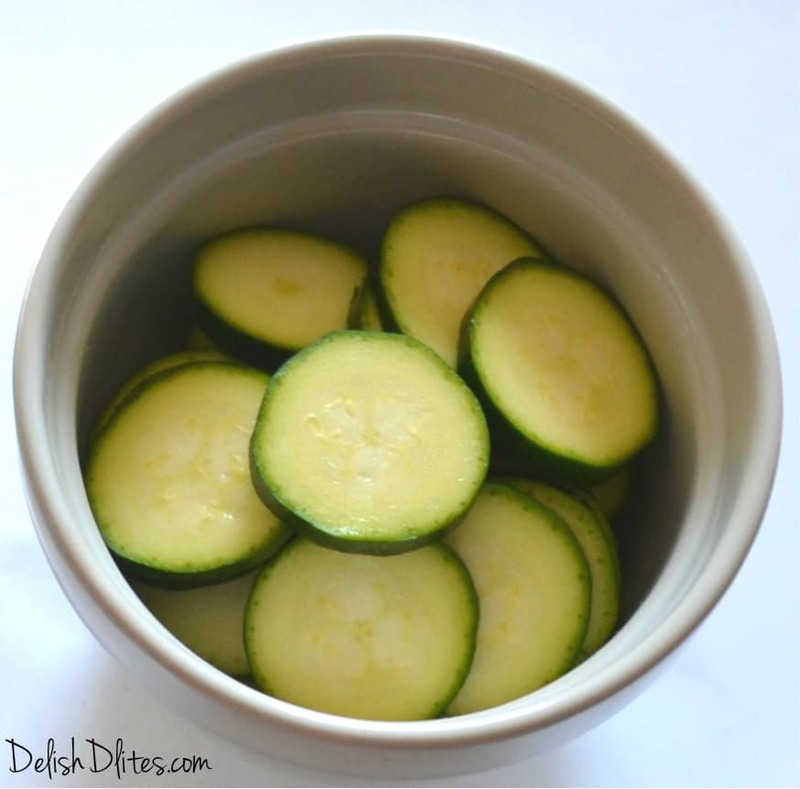 Cut the zucchini into rounds. And finally into the breadcrumb mixture. Lay the breaded zucchini slices onto a parchment-lined baking sheet that’s been sprayed with olive oil. 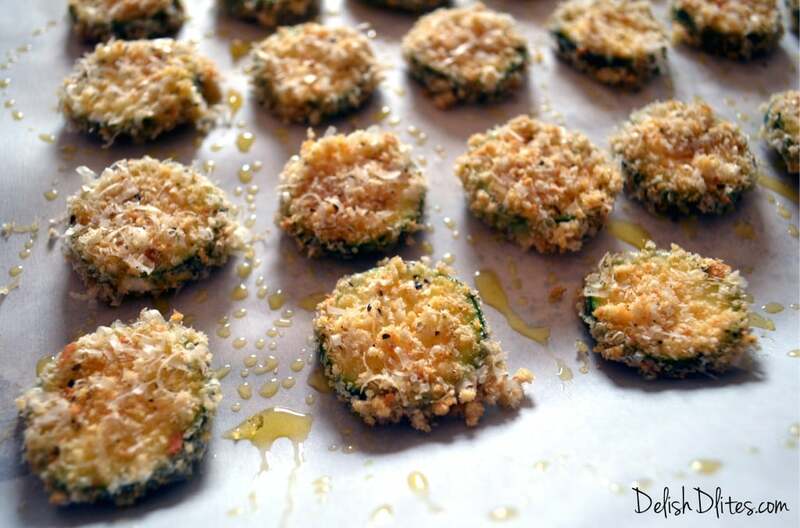 Spray the tops of the zucchini slices with olive oil spray. Bake for 10-15 minutes, until they’re crisp and golden brown. Flip once while cooking. Serve with marinara sauce or ranch dressing, for dipping. 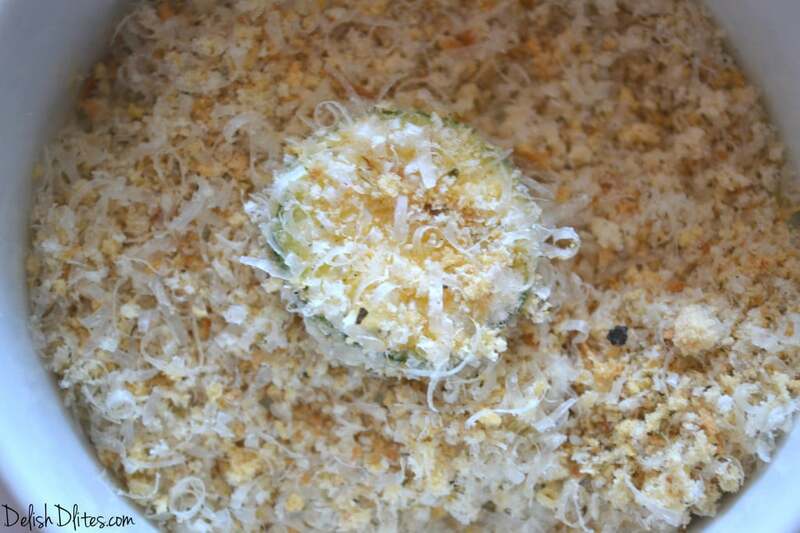 Dip the sliced zucchini into the flour, then into the egg, and finally into the breadcrumb mixture. 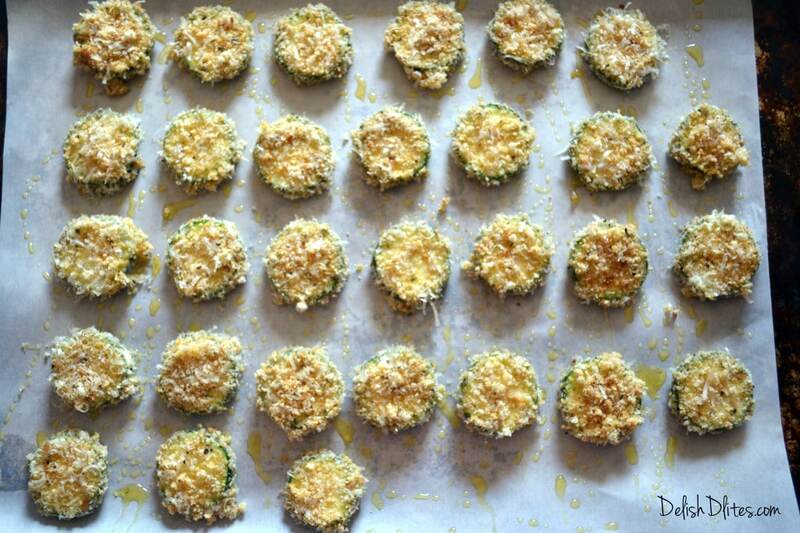 Lay the breaded zucchini slices onto a parchment-lined baking sheet that's been sprayed with olive oil. Bake for 10-15 minutes, until they're crisp and golden brown. 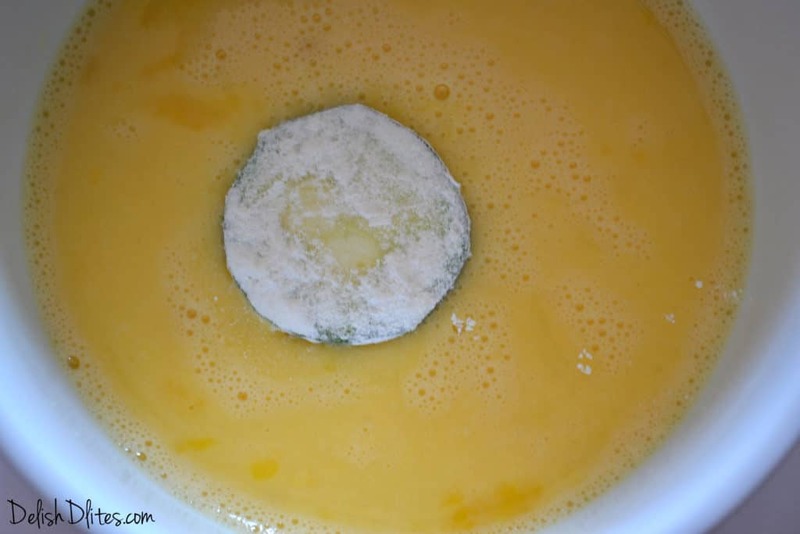 Flip once while cooking.